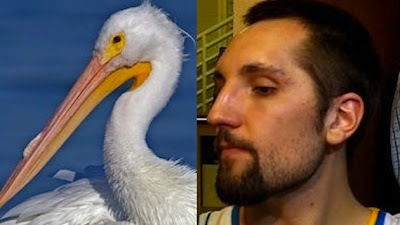 LOOK AT THE PELICANS MANNY! ~ Roundball Manor - The House that Basketball Built. This majestic, official Louisiana state bird could be the new team name as early as next season according to sources. Owner Tom Benson has plans to change both the team name and color scheme, seeing how neither the team nor the city have any affinity with the Hornets brand. 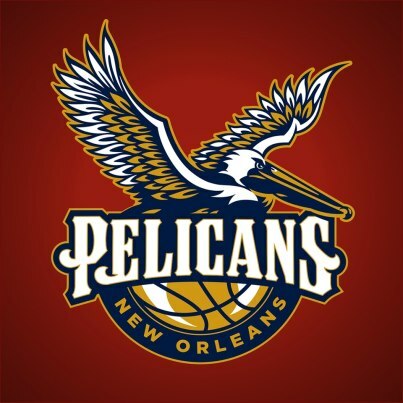 Other names considered for the franchise include Krewe, Brass, and The Oil Stained Pelicans. Too soon? Ryan Anderson will pull duel roles next year as a three point specialist AND team mascot.